When you're learning a new language, it's so tough to go from learning single words and easy phrases to having an actual conversation. Or is it? The unique methodology of Babbel language learning courses takes you from no knowledge to having practical conversations fast. Babbel's language learning programs are all about teaching you language skills that you'll really use in day-to-day life. You can perfect your accent and pronunciation with their voice recognition software, and pick up vocabulary that you actually care about with their themed courses including business, travel, and more. The program helps you actually remember what you learned with personalized review sessions. Most people don't have the time to devote to hours and hours of classroom instruction, and Babbel's creators know that. The lessons in Babbel language courses are made up of bite-size 10-15 minute sections, so you can learn at your own pace and do as little or as much at a time as you want. 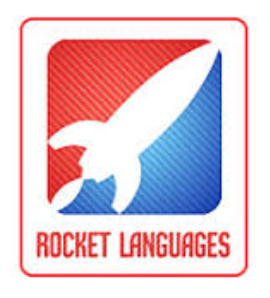 You can learn online or download their iOS or Android apps to learn on the go. While some other language learning software offers a wider selection of languages, Babbel covers most of the languages that learners want, including Spanish, French, Portuguese, Italian, and even Indonesian, to name a few. Ready to start learning? If you sign up with Babbel right now, you can take advantage of their 50% off offer and get 12 months of unlimited access to their program for just $6.95 per month. You'll also enjoy a 20-day, money back guarantee. Vámonos! Founded in 2007, Babbel has already made a splash in the language learning world. With over 1 million active users, Babbel is quickly gaining in popularity because of its practical, pace-yourself lessons and affordable price. Made up of hundreds of language experts around the world, the Babbel team is dedicated to helping language learners succeed. Language learners love the learn-as-you-go approach of the Babbel program, as well as its emphasis on practical, real-world conversations. In fact, 73% of users say that they could have a basic conversation in their new language just five hours after starting the program. Users also love the affordable price and monthly pricing structure of the program.